My sister Miriam has been telling me about Coconut Toast for a while now. When we chat about what we’re cooking, and if we’ve hit on any must share recipes this one comes up. I confess; it didn’t sound like anything all that special to me in the telling of it. That is until I tried it. Miriam made this for the family while we were all at my Mom and Dad’s for Christmas. Trust me. Make this for your family. They’ll thank you! Mix the first five ingredients in a medium bowl. Spread the ooey gooey yumminess onto 12 slices of bread onto an ungreased jelly roll or cookie sheet pan. My sister just piled them all on one pan even though they hung over the edges a little. I don’t think I would have thought of that, but I love that it saves on washing dishes! 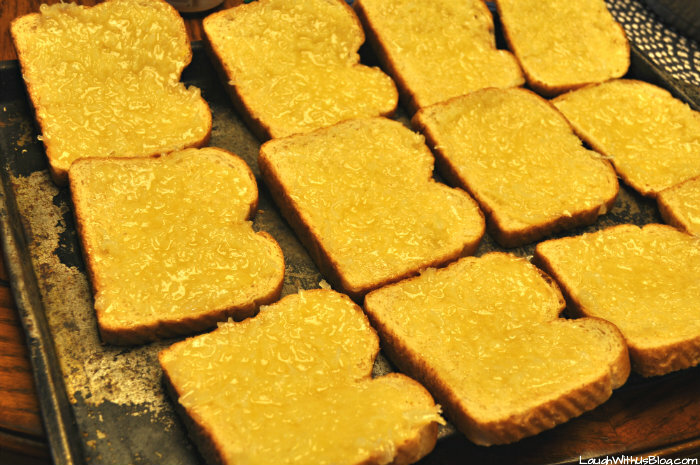 Bake in a preheated 350 degree F. oven for 15-20 minutes until toast is lightly browned. Warm right out of the oven it tastes like coconut pie! 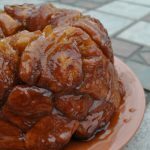 The top is a little crispy and the center a little gooey. It is amazing! My sister takes this to church to share for breakfast and it’s always a hit! I think it’s best warm, but it’s even good left over. The center no longer has that gooey texture, but it’s still delicious! Like I said, this is a must try! If you aren’t terribly frugal, you could line the pan with foil and just throw it away. I concur that coconut toast is more delicious than you can imagine until you try it. Just throw the foil away and not the pan. You could figure that out, but as a retired English teacher, I didn’t want to be guilty of an ambiguous pronoun. Oh my gosh I am trying this. I LOVE coconut, and I love sugar 🙂 So, I’m sure I can’t go wrong with this. How about coconut oil instead of butter for those with milk allergies?! Definitely trying this! I was thinking the same thing. Did you try? I am thinking coconut oil is not recommended for high heat, might burn and smoke the house up. I also thought of using Stevia instead of the sugar. Let me know if you tried the coconut oil and how it turned out. I fry chicken in coconut oil. It can handle the heat. Coconut oil IS actually recommended for high heat. Put on both sides of bread? I have an egg allergy. Normally, when I bake I use applesauce or yogurt. Do you think they will work for the recipe? If you’re craving coconut pie and don’t want to wait, this will do the trick! Tried it and hubs couldn’t stop eating it! Thank goodness I halved the recipe! What type of bread do you recommend to use? I just use a honey wheat sandwich bread. Could I use less sugar? Any recommendations for a substitution to that much sugar? I used 1/2 cup n it was great ! The picture shows 15 slices of bread. Did you make extra or did you put the one recipe on 15 slices? Have you used white bread before, and is it just as good? You can spread it onto 15 slices. There would just be a tad less topping on each. White bread would work great. Just made this & we loved it ! will make it again for sure ! 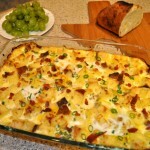 Thanks for posting this recipe…. Okay…this is awesome! But I did have to put just a spot of rum flavoring in with the vanilla. 1/4 tsp. Then I sprinkled some cinnamon on top of the slices! Yummy! lol They are good cold too, but my fave is right out of the oven when they are still gooey. So glad you like it! Should it be sweetened or unsweetened flaked coconut?? I cannot wait to make this! YUM ???? I use sweetened. It is sweet though. Think along the lines of a donuts or coffee cake for breakfast. To me it’s so good it can be dessert! This is awesome! Just made my 2nd batch???? My dad buys this cheap bread at the breadstore in town and gives loads of it to me. I’m always trying to find ways to use it because it’s stale and not good just for a sandwich. We were getting tired of french toast. This recipe is perfect! My kids really like it. I’m making it for the 3rd time this morning! Thanks! Dang Internet. ..I Read this and immediately had to have some LOL. Since I’m at home alone, I just spread a generous tablespoon on 2 hamburger bun halves and popped them in a toaster oven for 15 min. It was delicious! And still very sweet. I can’t imagine using the full cup of sugar. When my husband and daughter get home later I’ll make some more pieces for them. Has anybody tried freezing these? What is the serving size? One slice, two, three? just saw your recipe for ‘coconut toast’ and, since my granddaughter loves toast AND COCONUT ( of course i do too), decided to jot the ingredients down and make this soon. my mouth has been watering since i started typing LOL its sounds delightful and gooey good. will let you know how we loved it. I’ve made this twice now , so good ! 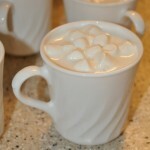 I am going to add some chopped pecans to it next time , it will be even more yummy !!! Had this for breakfast this morning. So good! And I love all the ideas for customizing it. I agree, it’s sweet enough that I will probably try it with a bit less sugar next time, to save a few calories. I used unsweetened flakes. 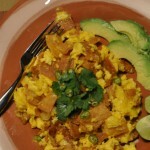 Thanks for the recipe, we’re always looking for weekend breakfasts that can be made gluten free. Love butter, but I love to use coconut oil in place of butter in a lot of recipes. So it really should be good with this one! Trying this today, mouth is watering as I wait. Will give review shortly, but already certain it will be a two thumbs up???? My mother treated us with white bread, brushed with condensed milk, and you could top with coconut and then place under broiler. Yum! 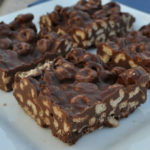 Make this for camping, as a dessert. Recipe: 1 can sweetened condensed milk(eagle brand), cocoanut, white bread. Dip both side of bread in milk, then into pan of sweetened cocoanut, both sides. Roast over fire or coals until browned( like a marshmallow.) Drizzle with chocolate sauce. BAM! Sweetened or unsweetened coconut ? Thanks ! Could you use English muffin toasting bread or would it be too porous like English muffins? You know I haven’t tried it on an English muffin but I have done it on really heavy, grainy wheat bread and it’s yummy. If you like the bread you’re putting it on, I think you’ll love it! Why not do both sides of the bread? What about French bread, like it’s $1 a loaf from Walmart and slicing it thicker and slapping it on both sides of the bread? The topping is sticky. If you try it let me know! 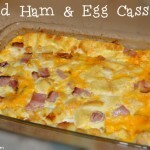 I am thinking about making these ahead of time for school morning breakfasts, Do these keep well in the freezer? Thanks! My favorite is of course fresh and warm, but yes, they do keep well in the freezer. 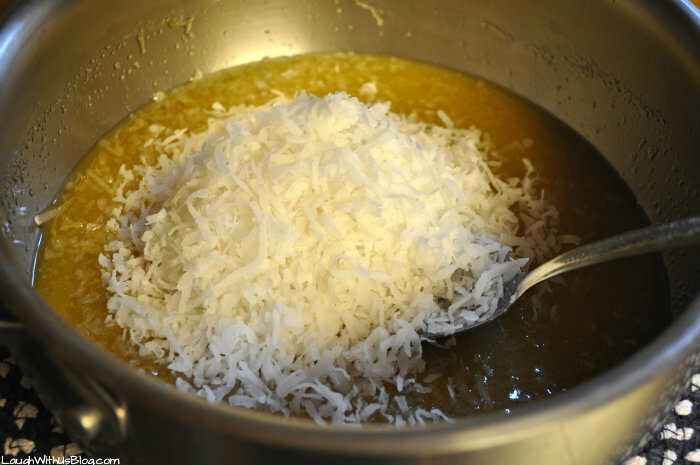 Wonder how it would be with Condensed milk and coconut–a little less mixing?! O-M-G!! I made this for a lazy Sunday breakfast indulgence. This was FABULOUS!!!!! If you are a coconut fan like me…wonderful. I crushed some macadamia nuts and put in the mixture…mmm mmm mmm! I used coconut oil too. I can’t tell you how good. Try using frozen waffles instead of the bread slices….to die for!! I wonder if this would be good with Texas toast? 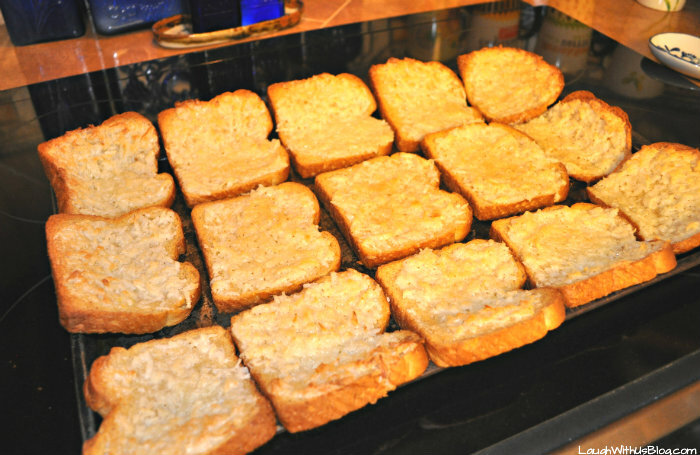 My older siblings used to spread sweetened condensed milk onto white bread, sprinkled on coconut, and cooked both sides under the broiler. SO good!!! This bread is amazing and so easy to make. I cut the recipe in half because 12 pieces is just to much for my size family. I’ll make this again! Donna, I’m so glad you like it. It’s one of our favorites and so easy! Sweetened condensed milk might be a good substitute if you have egg allergies. If you want a vegan alternative replace the sugar with about 1 table spoon of golden syrup then it is so sticky you dont need an egg. The syrup tasts nicer than sugar so even more scrumptious. Thanks so much for these suggestions!!! 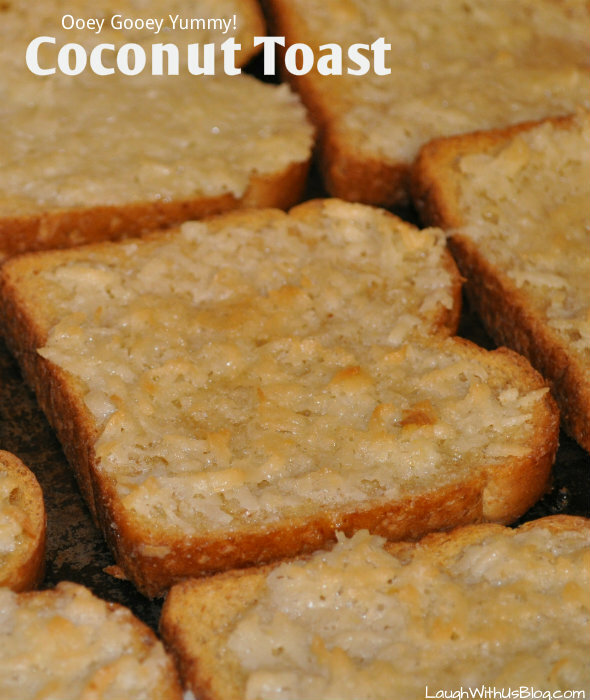 I love Coconut Toast and want everyone to enjoy it too.